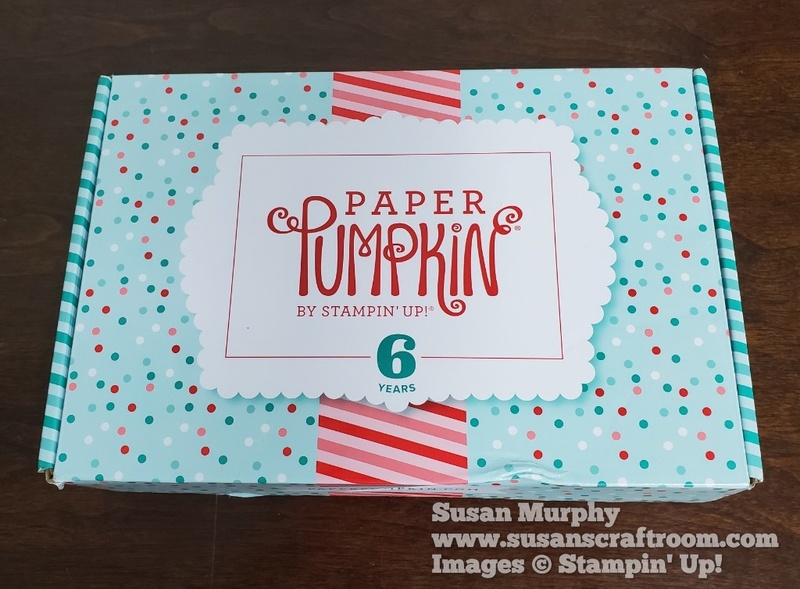 Susan's Craft Room: Awesome 6th Anniversary March Paper Pumpkin Kit! 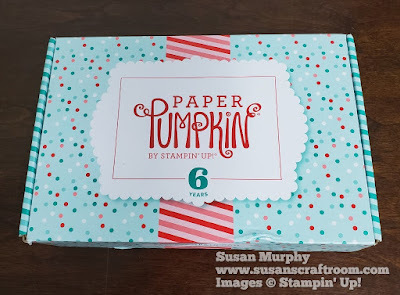 The March 6th Anniversary Paper Pumpkin kit is AWESOME! Instead of the usual box, it came in this pretty 6th anniversary box. It gives you an idea of the color scheme inside! I LOVE the colors and the stamp sets! 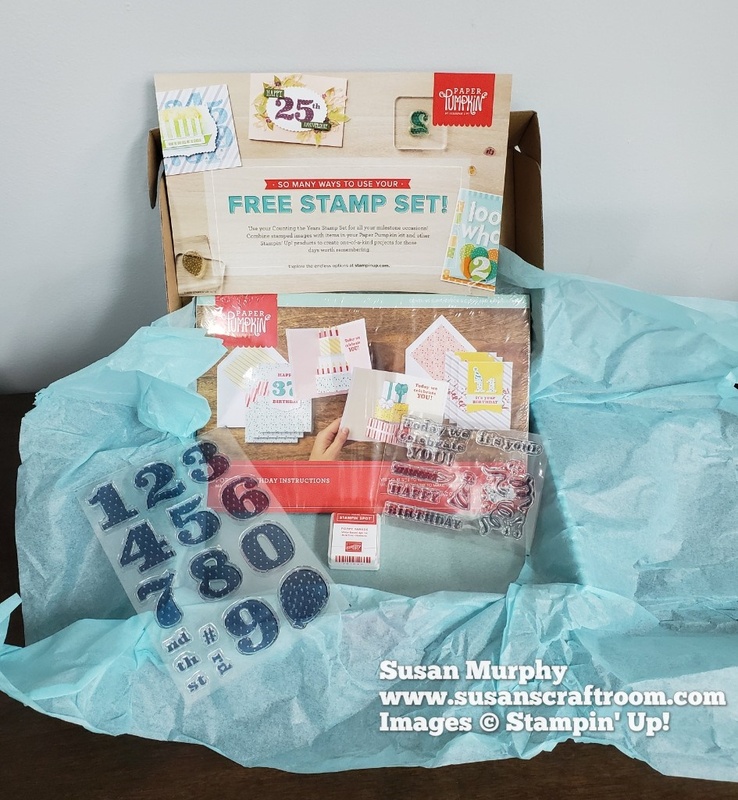 Since it is the anniversary month, Stampin' Up! included a FREE Stamp Set in the kit! The wonderful dotted number set includes a balloon stamp too! The balloon stamp coordinates with the Stampin' Up! Balloon Bouquet Punch! Both of these stamp sets can be used year after year! Would you like to see all the card pieces you receive AND the cards that this kit makes? Here you go! 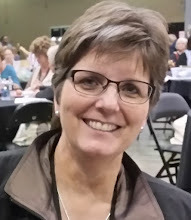 Watch for a post soon on info on the upcoming April kit!